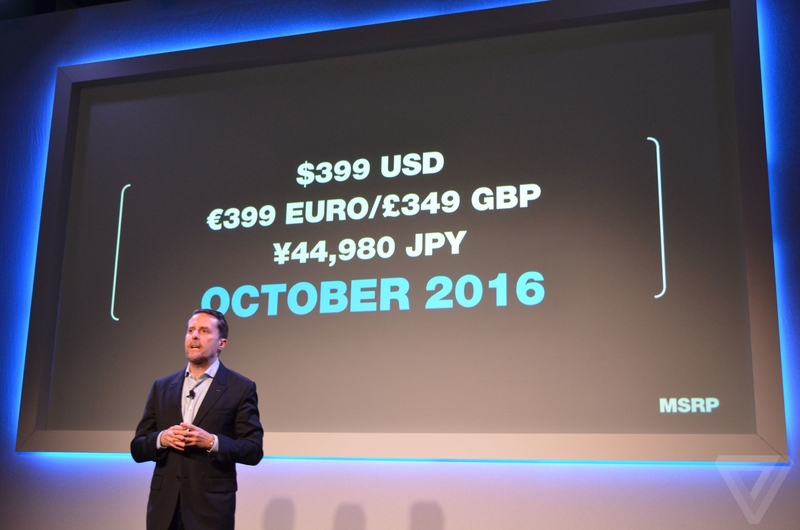 PSVR Launches October 2016 -- $400 U.S. They nailed it with the price. Though i somewhat expected they would be subsidizing the hardware. That is after all the console module. Subsidize the hardware so people actually buy it, and then make your money on the software. 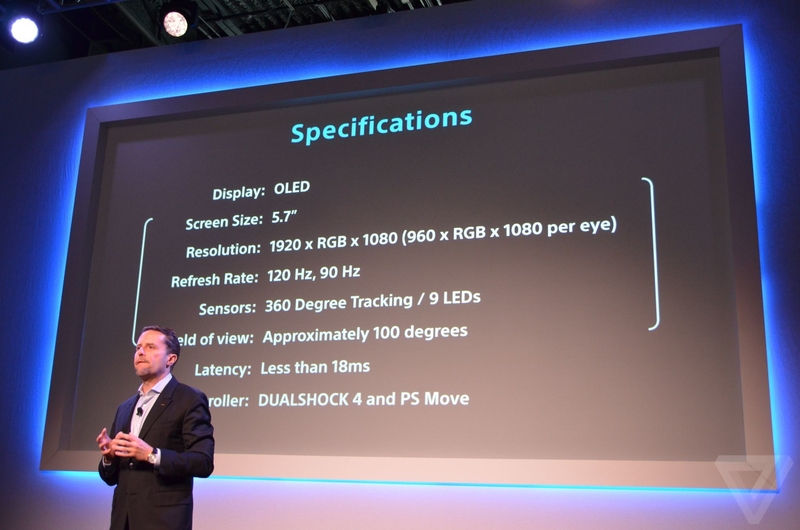 Turns out that Sony is actually in the black (making money) on the HMD--this surprised me. They said it's because of their hardware experience that allowed them to find inexpensive parts for the headset and therefore undercutting the other two HMDs. But the camera is not included so another $60 there. Total cost of console and headset and everything else (move controllers) comes out to a little over $800, which is in the ballpark of the Vive and probably the Oculus as well when the Touch prices are revealed (my guess $150). Sony's VR seems to be the lowest cost to entry but their audience is somewhat different than the PC VR audience. I've not owned a console since the N64 - and I only got that for Wipeout 2047 besides, it's only 12 days till shipping day!!! Yes, and I'm extremely looking forward to it as well. I've waited years for this moment--I held off buying the DK1 and Dk2, I held off trying lesser HMD, I've been borderline obsessed with VR for some time. I had hoped that my first VR experience would be a combination of the Rift and Omni but as things are now it looks like CV1 will come first. I understand your point about the console. It needs great AAA VR games to get us interested. Right now, looking at the games for PSVR, I wouldn't say there's a killer app yet--I'm borderline on buying it at the moment. For me, it will be at E3 that tips the balance. HA that's funny @kzintzi I bought a PS3 Just to play the last of us and I bought a Wii just to play Zelda windwaker. 19 Days until shipping for me. People complain about VR headache, well, this is the OG. 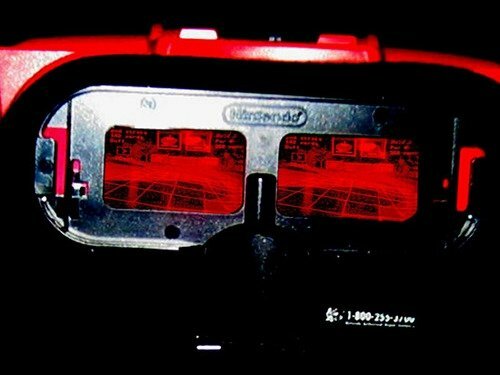 Makes me wonder what Nintendo has up their sleeves--"Virtual Boy 2: The Epic Return" would be awesome! Nice! 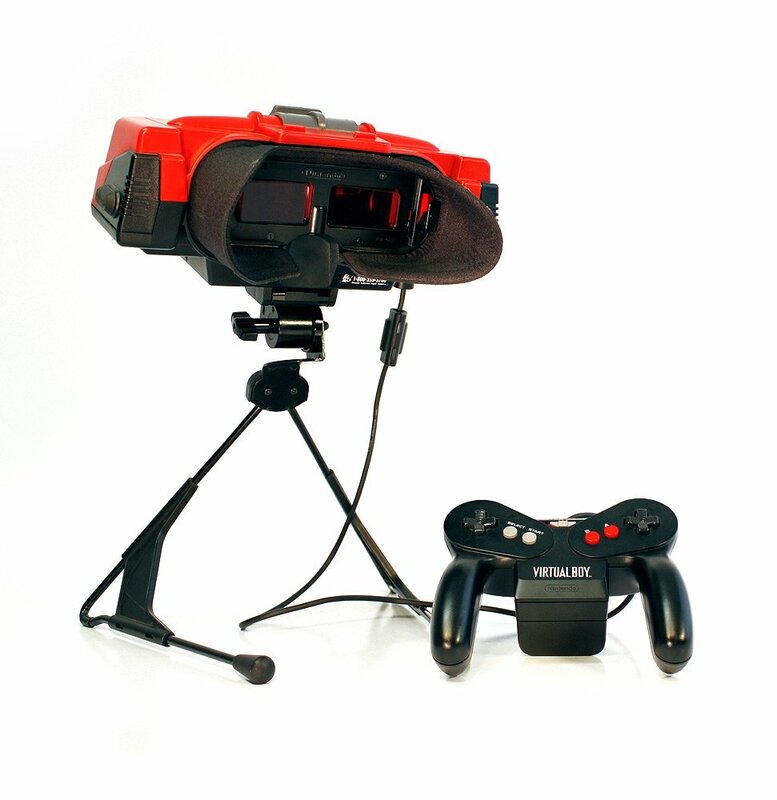 I still have my Virtual Boy. Nester's Funky Bowling, Wario Land, and Golf (yes, just golf) are still fun to this day. Omni compatibility with Nintendo, Sony, Xbox, PC, and mobile VR headsets. Can you imagine a world like that? @SutekiB - It already works via bluetooth, (even if that is currently just for use with samsung gearVR) so I'm sure that it could manage being recognized as a wireless analog stick. It could theoretically all be up to Sony to decide to add support for it. "It could theoretically all be up to Sony to decide to add support for it." It won't happen if Virtuix does not reach for Sony to support it, as it is not really Sony's job to seek out input devices.. So I am hoping that the Virtuix folks are on the ball there and are at least making contact.